Tipperary lost out to Kerry for the second time this weekend when they travelled to Fitzgerald Stadium, Killarney on Sunday last March 10th for the first round of the U16 A Munster Championship. Referee Michael O’Keeffe delayed the throw in at the start due to a severe hail shower as both sets of players took shelter in the stand. Conditions were blustery and a strong breeze favoured Kerry in the first half. From the throw in it was the home side who settled best quickly registering the opening three scores. Playing into a strong wind Tipperary had it all to do and from the off were under severe pressure in the back line. Both sides had opportunities to raise the green flag in this opening half but Tipp goalkeeper Megan Tynan pulled off three very important saves mid way through the half to keep a clean sheet. The Kerry defence were holding firm denying Tipp’s advances and holding them scoreless for the opening half. Meanwhile the Kerry attack took full advantage of the wind factor to register a half time score of Kerry 0-12 Tipperary 0-0. 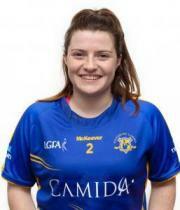 On the resumption Tipperary emerged a more determined side and registered the first three scores Sara Finnane (0-2) and Robyn Carey (0-1) all from frees. Substitue Saoirse Keating was next to point before Kerry responded with a point of their own. Again Tipperary were on the attack with Robyn Carey scoring a goal from a free that caught the Kerry defence off guard. Carey was again on hand with another point. Tipperary had the deficit down to six when substitute Eabha Hogan added her point. However Kerry would score a further three points before two quick fire goals to extinguish any hope Tipperary had of taking anything from the game. Tipperary added a point from Niamh Cunneen to wrap up the scoring. The final score was Kerry 2-16 to Tipperary 1-07. Next up for Tipperary is Cork in round 2 on Saturday next March 16th time and venue to be confirmed. Megan Tynan, Kelly Ryan, Cathy Hogan, Niamh Dunne, Megan Heffernan, Sarah English, Emma Daly, Veerle Van Der Wal (C), Neasa Towey, Emer McCarthy, Clara English, Niamh Hayes, Robyn Carey (1-2), Sara Finnane (0-2), Niamh Cunneen (0-1). Subs used Caitlyn Downey for M. Heffernan, Eabha Hogan (0-1) for C. English, Queva O’Meara for N. Hayes, Saoirse Keating (0-1) for E. McCarthy, Kate Burke for V. Van Der Val. Our U16s lost out to Cork in the second round of their Munster Championship on Saturday afternoon last March 16th.. Due to weather conditions the fixture was moved on Saturday morning after a pitch inspection from Castletownroche to Cloughduv. From the throw in Tipperary went into an early lead with points from Robyn Carey (0-2), Niamh Hayes and Eimear O’Donovan before Cork responded the (0-3) of their own to narrow the gap. However just before the break Robyn Carey goaled to stretch Tipperary’s advantage. The half time score read Tipperary 1-4 Cork 0-3. On the resumption the sides exchanged points with Katie Delaney pointing for Tipp. Cork then tacked on four more unanswered points to leave just a goal separating the sides. Robyn Carey again pointed and Niamh Cuneen added another. Tipp were now up 1-6 to 0-8 with just six minutes remaining and the narrowest of margins separating the sides. Cork never gave up and in the last minute of ordinary time goaled. They added a point in injury time to leave the final score at Cork 1-8 Tipperary 1-6.